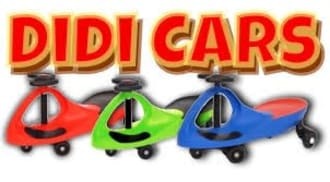 These Didi cars are brilliant fun great and exercise to, you won't believe how much children and even adults love these cars. To move faster lean slightly forward over steering, to go backwards turn steering around other way. Must only be used on a indoor hard smooth service.